Описание Read it yourself is a series of character stories and traditional tales, written in a simple way for children who are learning to read. 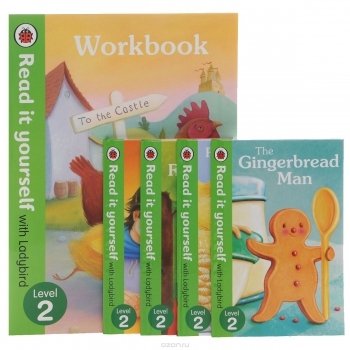 This box contains four Level 2 storybooks, a workbook and helpful parent notes. It is perfect for supporting children who can read short, simple sentences with help.